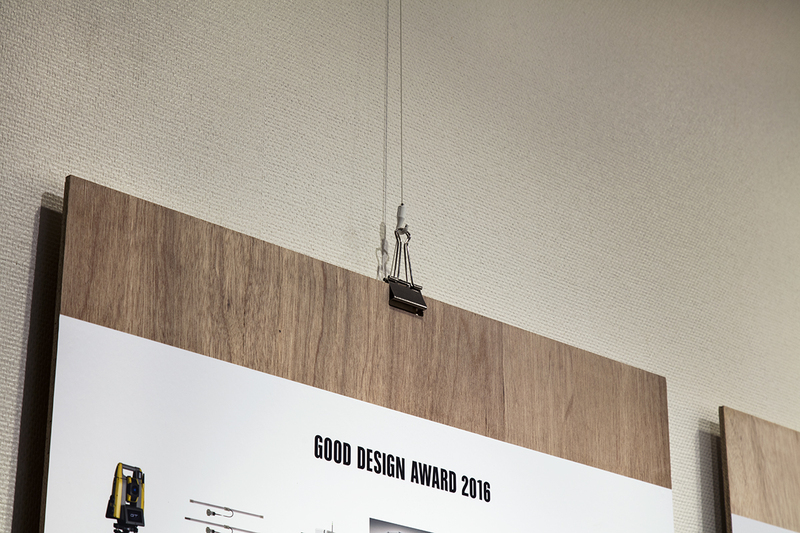 We designed exhibition space and furniture for GOOD DESIGN AWARD 2016 held at Tokyo Midtown during Tokyo Design Week. 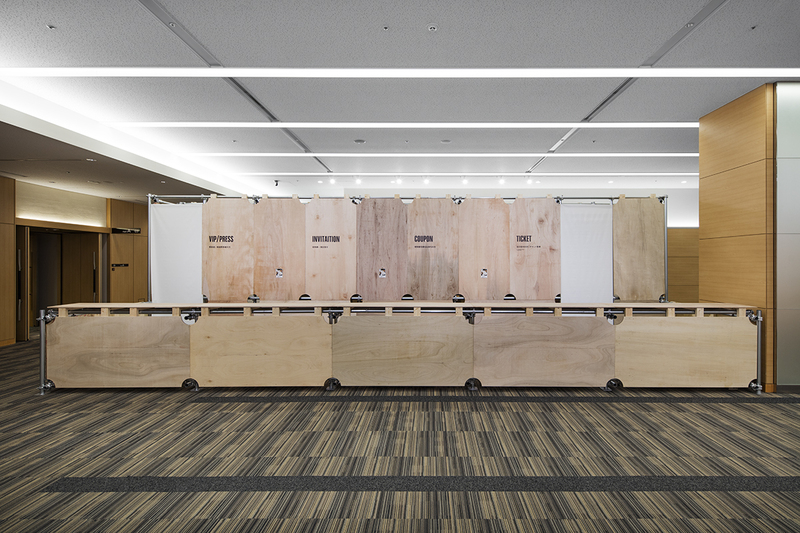 The venue at Tokyo Midtown is not a gallery but a conference room, and it has a particular glossy atmosphere like ready-made products. 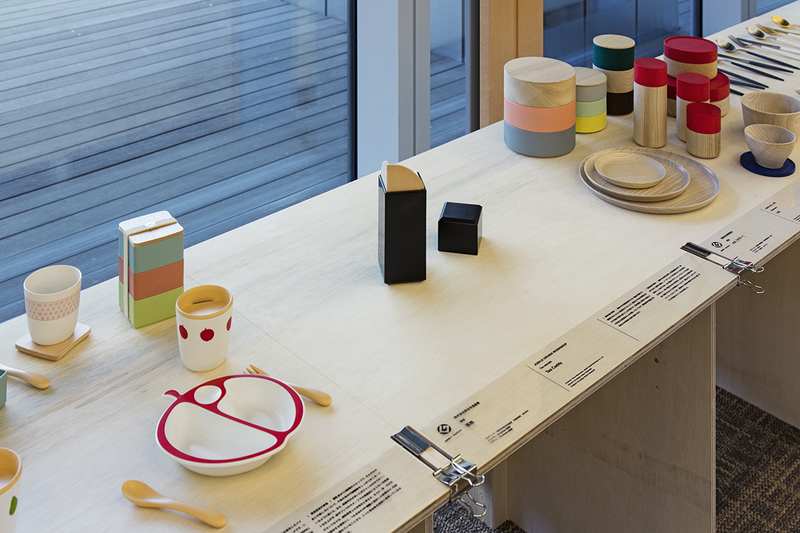 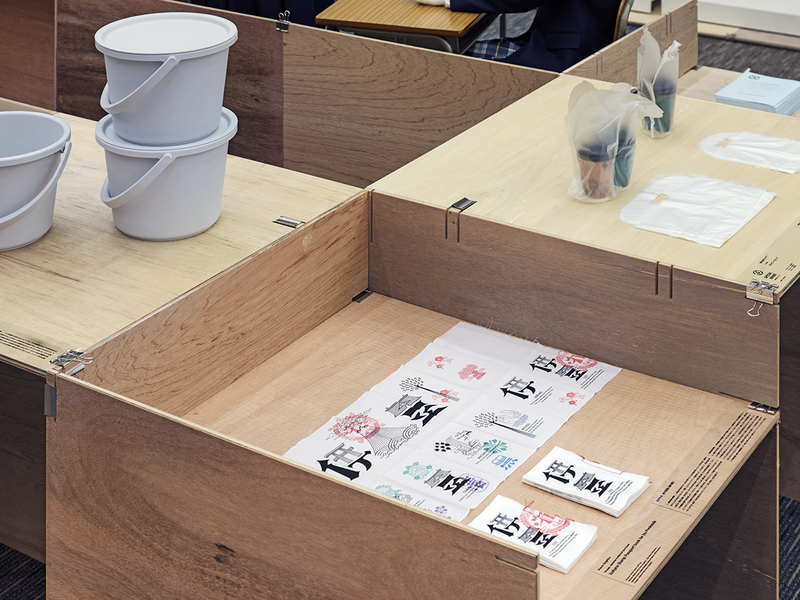 In this exhibition, glossy mass-produced products were expected to be displayed there. 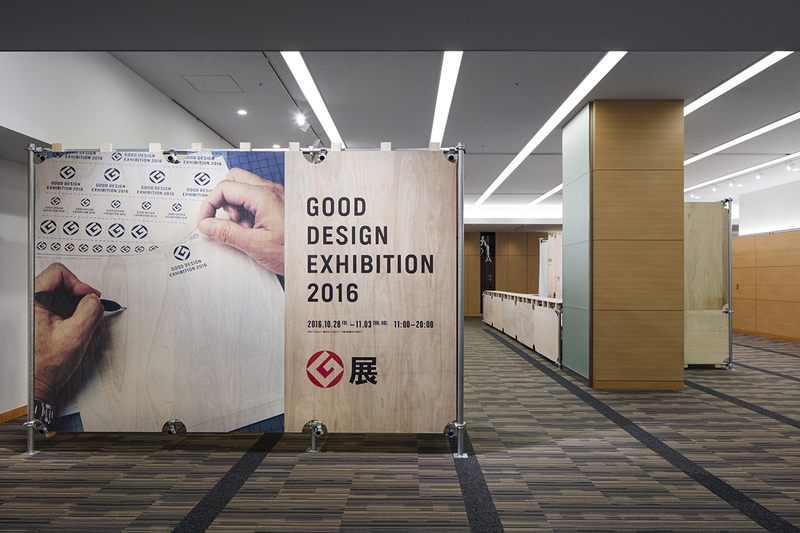 In order to distinguish between the display and the background to bring out the best effect, we chose material with dry appearance, namely plywood, to make display furniture. 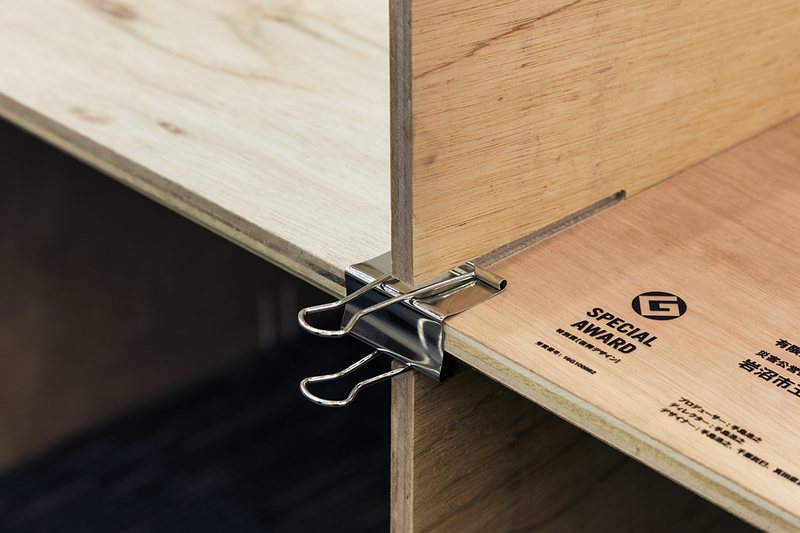 Plywood panels were assembled into three-dimensional objects using paper clips at the joints.